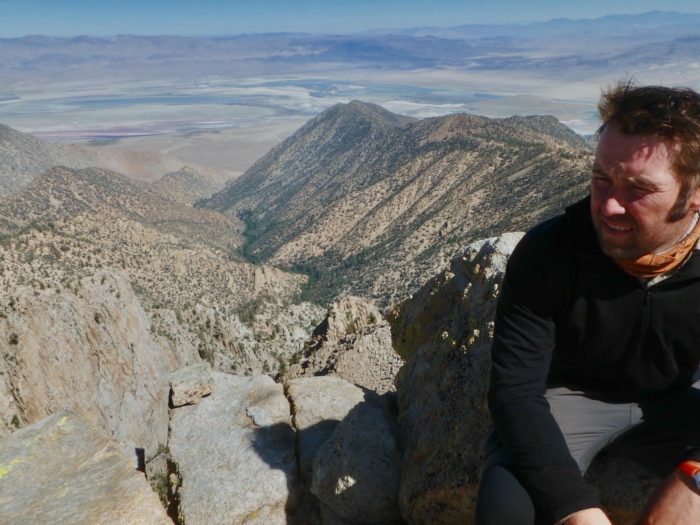 I hiked 1,300 miles of the PCT the previous summer with my then wife, only to have everything fall apart on a ridge in the Sierra outside Horseshoe Meadow near Lone Pine, Calif. I found myself back in a town I grew up in, a town that I couldn’t get far enough away from after high school, and unsurprisingly everything was pretty much the same as it was ten years ago. 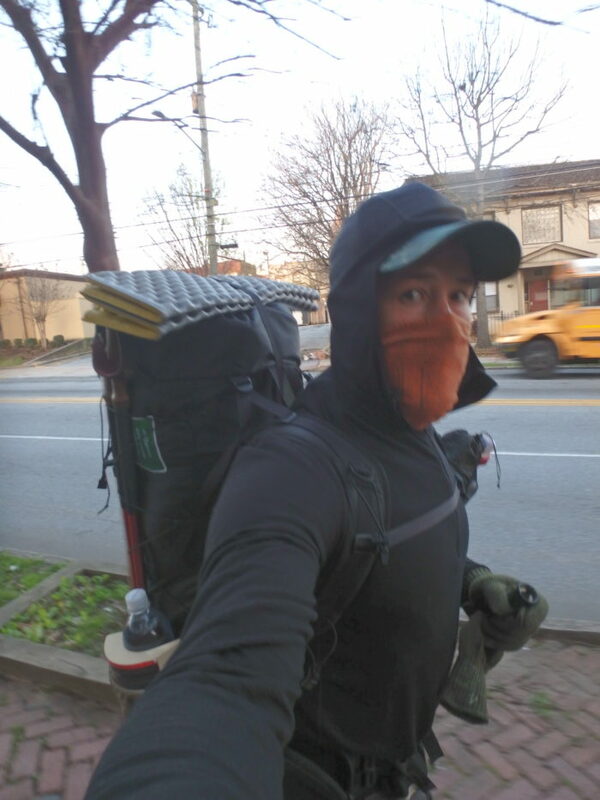 After working two jobs through the fall and winter, and after going through divorce proceedings in Maricopa County, Ariz., I decided not to go mop up the miles of the PCT and instead turned my sight east toward the AT. When reality hits. Last day on PCT near Horseshoe Meadow, Lone Pine, Calif.
I’ve spent the last two weeks in Folsom, Calif., splurging on pizza and tacos, and finding a place near the apartment that made one-pound ice cream sandwiches out of doughnuts. 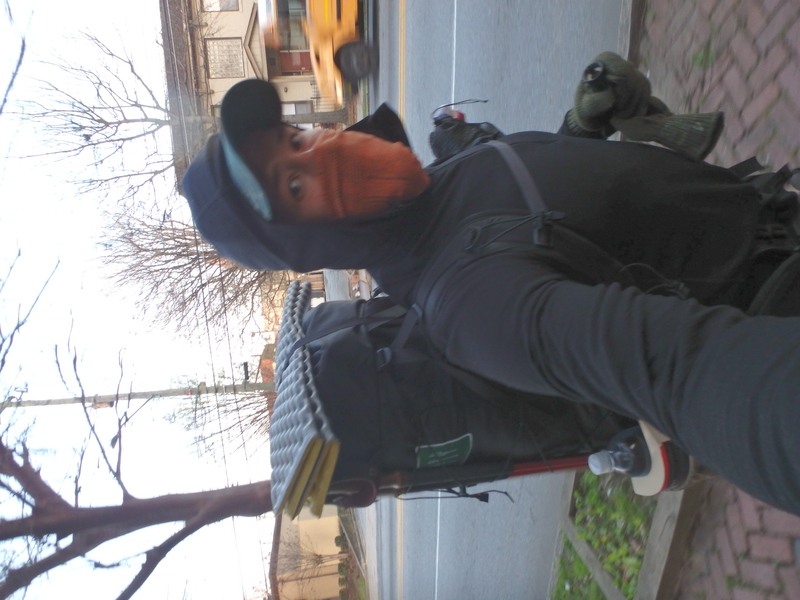 I was able to make a few last gear adjustments, send some supplies ahead, watch nearly the whole series of “Parks and Recreation,” and take advantage of the urban trail network to keep up my training regiment. 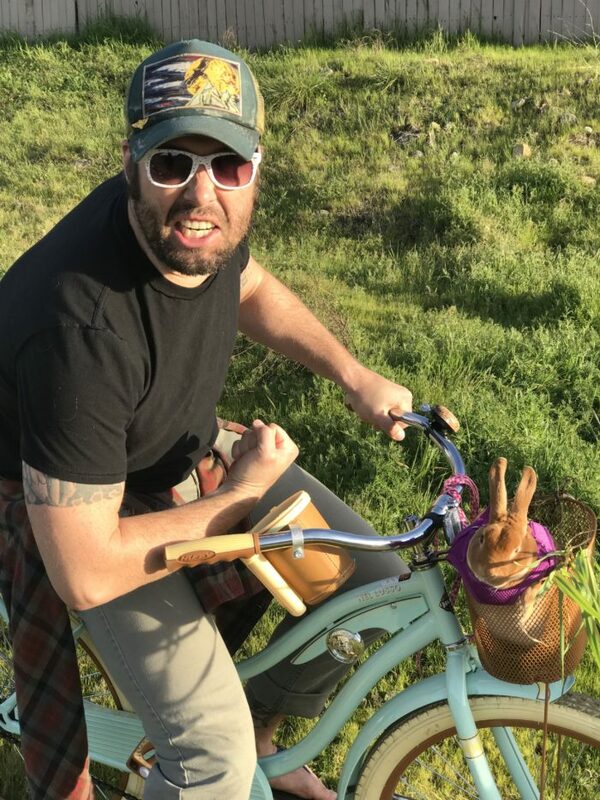 One key component of my cardio conditioning was taking the family rabbit out for a bike ride. Ginger, the super bunny, chilling in a basket. Folsom, Calif.
My flight out of California, in accordance with the cheapest cross country flight available, was at some ungodly hour. 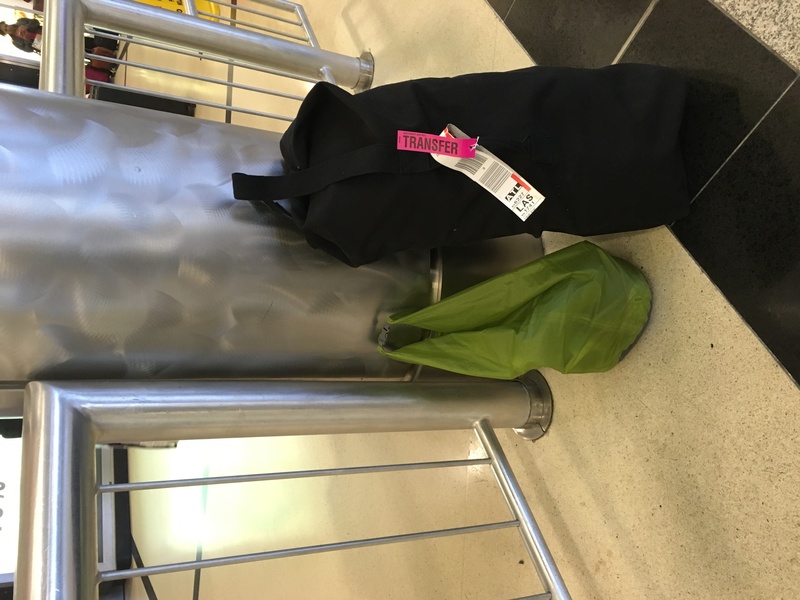 I waited on the curb at 3 a.m. for a Lyft to Sacramento International, my backpacking kit jammed into a cheap black canvas duffel bag. 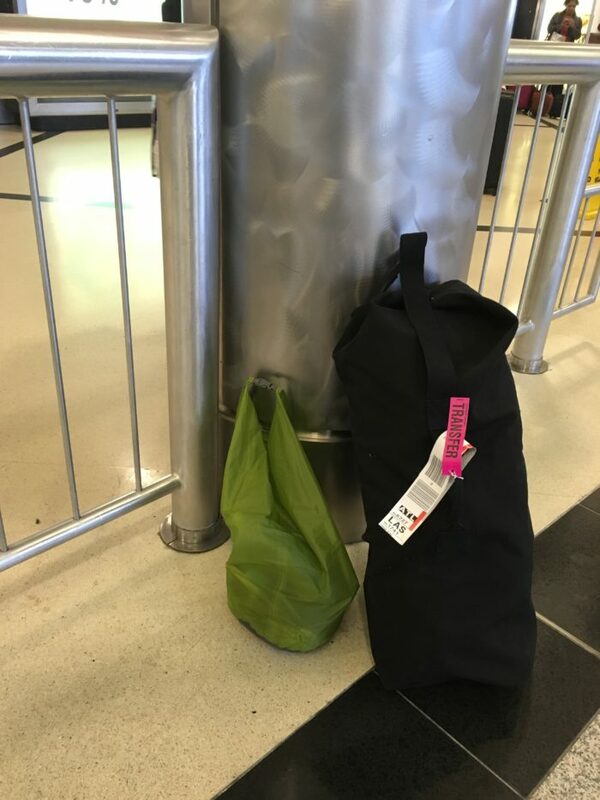 Black duffel bad and dry bag carry-on. I stayed the night in Atlanta at an Airbnb in the old fourth ward. I was glad I did this instead of trying to catch a shuttle straight out of the airport, as my flight was delayed and would have thrown a wrench into everything. Urban hiking on a cold morning. Atlanta, Ga. I jammed four days of food from Publix into my backpack that the bagger misidentified as a golf bag and found some fuel for my stove at a local outdoor store. –MARTA is a public transit network, not just a station. So the MARTA station at the airport may not be the place your shuttle driver intends to pick you up. –If you are staying the night do not be tempted to buy a day pass. These are for a calendar rather than a 24-hour day. This was the case for me at least as my day pass did not work on the second day. 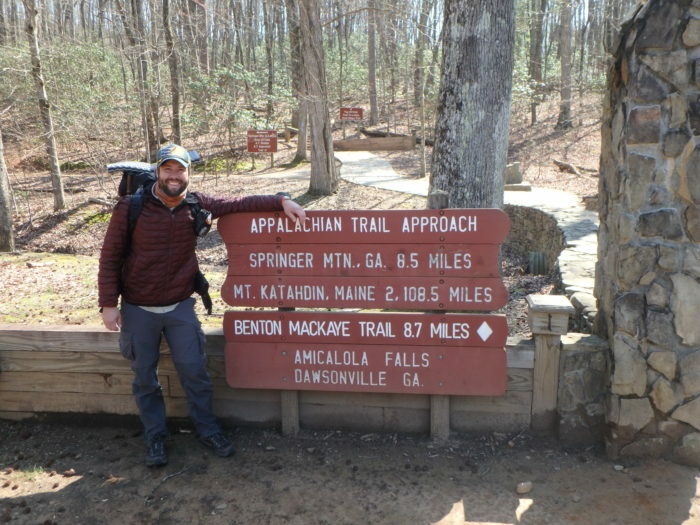 I weighed my pack in at 35 pounds on the hook at Amicalola Falls visitor center. I registered as hiker 978, got my talk from Bob with the ATC, and at 12:30 started my walk north. Amicalola Falls State Park, AT, Georgia.